"In the xerographic collages, the figures are scanned onto clear acetate, sometimes elongated, sometimes widened, occasionally purposefully blurred to soften the image. Colored images or a strategically placed splash of color are painstakingly arranged underneath the transparency. It takes great skill to drag an image slowly across a copy machine to achieve the beautiful and haunting distortion St.Lewis seeks. 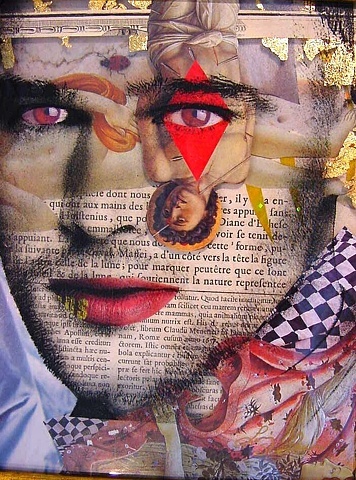 There is purpose to these collages, emotion and ideas are subtly conveyed using the products of modern technology".